I'm very much getting a "secret boyfriends" vibe off the two princes there. Maybe I've spent too much time on Tumblr. Well, I remember in the original HoM event, one of his goals was to seduce Storm to get Wakanda on their side or something. 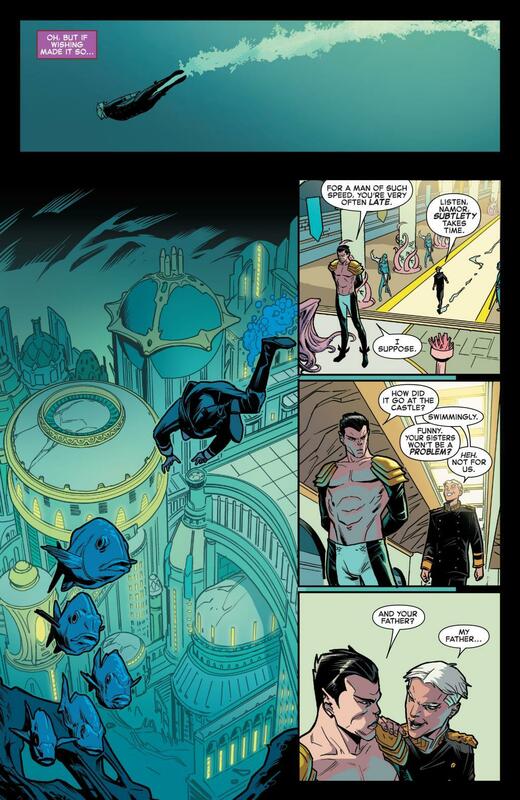 So maybe this time he's seducing Namor instead! 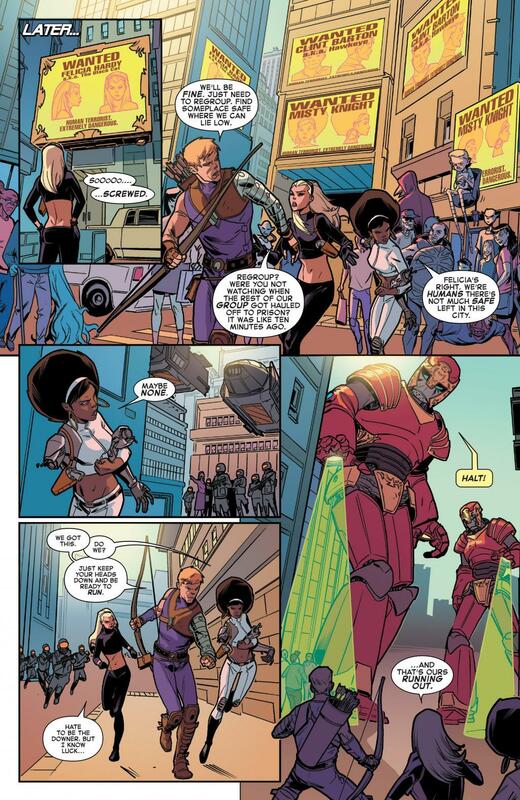 Well, over in Secret Wars: Secret Love this week..
Gad, it feels nice to be right about something. A sensation I'll be chasing the rest of my life. 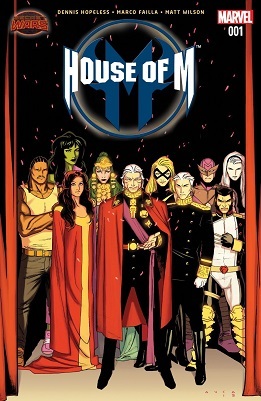 This is the most fun I've ever gotten out of something with "House of M" in the title. So in this reality, Pietro and Wanda are still Magneto's kids? The odds are whenever Marvel publishes their next guide to the multiverse the cartoons and stuff will still be in there so those at least will have them still related. 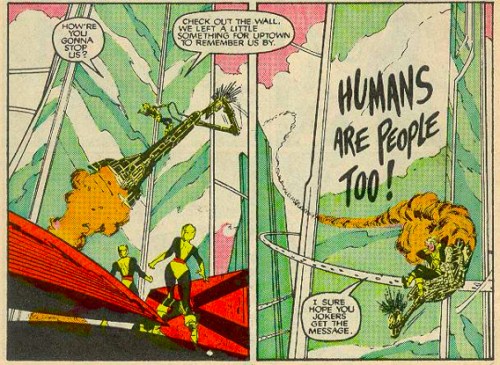 I remember people like Hank Pym not being thrilled that the baseline human race was being oppressed, but I think the people who were aware of the big reality makeover were the ones leading the resistance. Humans in the resistance were already on the run for the Red Guard in the House of M main title. Red Guard being Logan going by his real name James, Rogue, Toad, Mystique, Jessica Drew, Nightcrawler. I did get the impression Magneto didn't know how badly his generals or staff were coming down on humans. Can anyone confirm whether Magneto was aware of this and in which title? 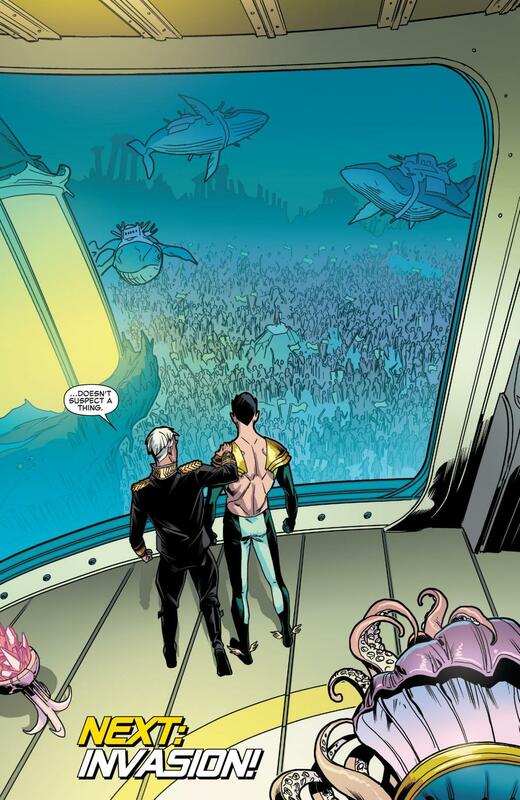 This is...pretty damn differnt from House of M. I mean, HoM gave me the impression that opression of humans was something Magneto couldn't percieve from his Roya existence. And which torqued him off quite majorly when he did. Speed and Wiccan was about 5 years old. Pietro was the power behind the thorne and the one who designed the whole thing. He had zero reason to rebel, he built the damn place. And still no Luna? Wanda was hiding her powers and pretending to be Magnetos human daughter. This...is sort of like Doctor Zero. It only visually resembes the original characters. Yes, I got the same impression from what I have read sofar, but I haven't read all tie-ins. I wonder how the same people here remember the big fight in House of M #7 anyway. Wanda was really mad and without her memories. Her memory got jugged in small moments like when Nuke tried to kill her and she spoke of his past life being miserable and how he hasn't changed before obliterating him. And everything came back to her when Magneto attacked Pietro. Like she was under her own spell thinking she is powerless except when she was under attack. This is so confusing. 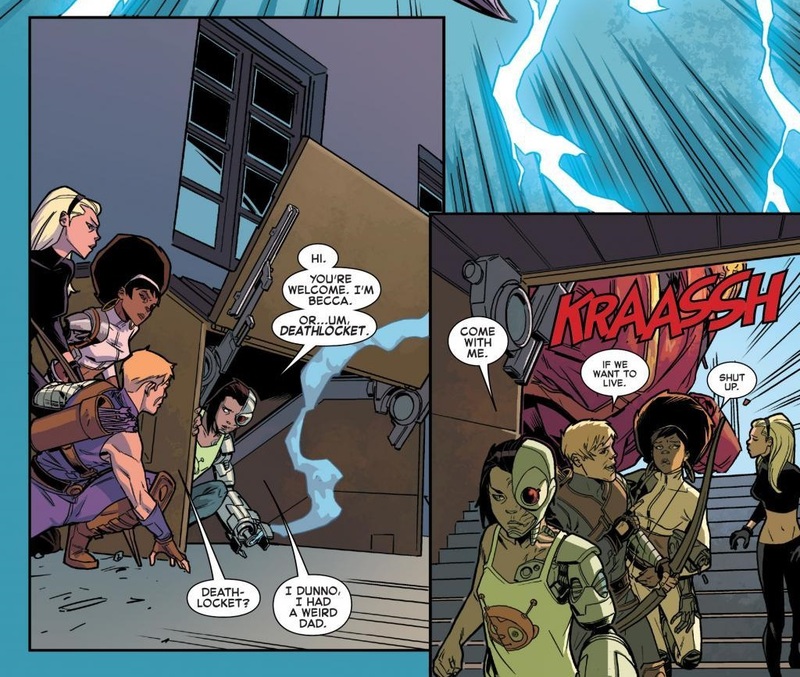 Wasn’t Misty Knight revealed a traitor to readers in a tie-in? And then she died when the human resistance kidnapped an on the run memory-jugged James/Wolverine but forgot to kill the tracer in the back of his neck which led to a Sentinel attack on the lot of them. And WTF was Gladiator doing hanging out with the human resistance getting beaten on by Sasquach (Who isnt a mutant, incidentally) !? You mean in the battle splash page in House of M #7? None of the Secret Wars tie ins seem to be exactly the same as the alternate universes/events that they're based on. In Spider-Island Carol was already Captain Marvel instead of Ms. In Years of Future Past Kitty and Colossus had two kids and raised one in the camps unlike in Days of Future Past. In Civil War Cassie Lang seems to be on Captain America's side even though in the event she defect to Iron Man's side. 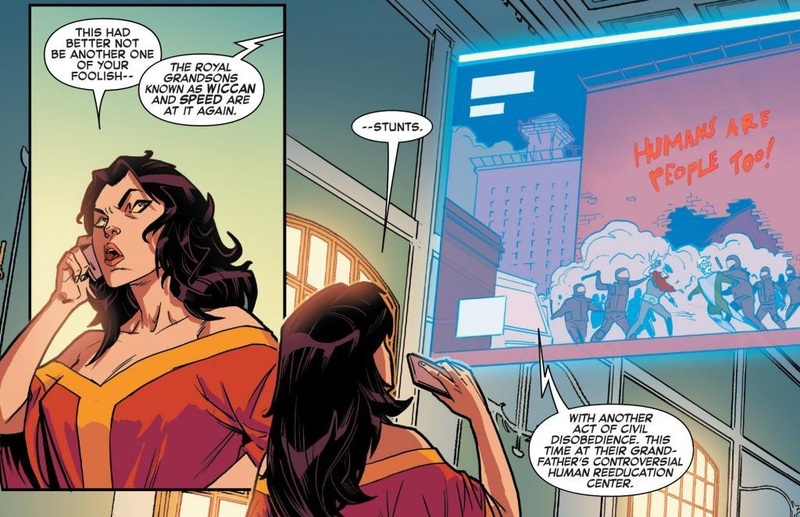 The point this isn't exactly the same House of M, but a similar reality based on that story that has been further warped to fit in with Battle world and the whole God Doom thing. That makes sense. A lot of inconsistensies are too big to ignore, but these stories are still good I guess. My understanding is that these aren't actually continuations of those AUs. They're loosely inspired by them. AUs of AUs. ...because she didn't have powers and Pietro couldn't accept a flat-scan kid. He wanted Wanda to make everyone's fantasies real, so not having a "normal" kid would be part and parcel of that. Glad to see that Speed and Wiccan are following in the footsteps of another pair of young scamps who objected to a mutant totalitarian rule over oppressed humans.